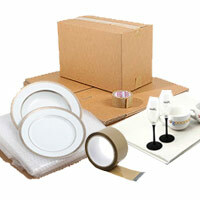 2 bedroom economy moving pack is designed for movers wanting great value. Packed with 20 removal boxes, tape, bubble wrap and a pen that are ideal for moving home. This pack includes: 15 B1 Large boxes 18"x10"x12" 5 B6 Medium boxes 12"x9.5"x9.5" 50 Sheets of glass/china wrap paper 10m Bubble wrap Packing tape 66m long Marker Pen Price includes FREE NEXT WORKING DAY DELIVERY. big-boxes.com is a trading name of M9 Packaging Ltd.